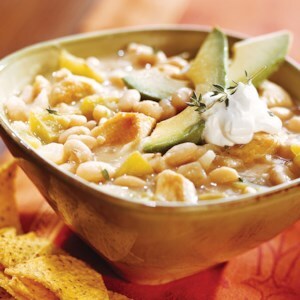 Find healthy, delicious gluten-free chili recipes, from the food and nutrition experts at EatingWell. 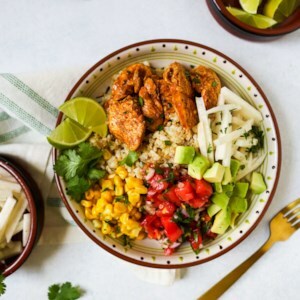 Skip takeout and whip up these equally delicious, and easy-to-make burrito bowls at home. 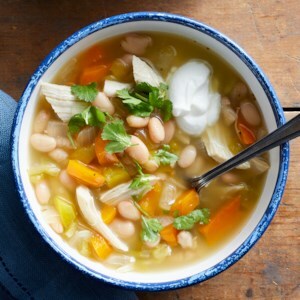 They're great for a fast and easy dinner or as meal-prep lunches to pack for work throughout the week. 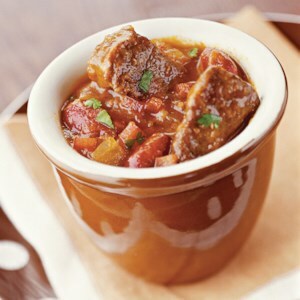 A hint of honey sweetens the spicy tomato sauce in this low-calorie beef recipe. 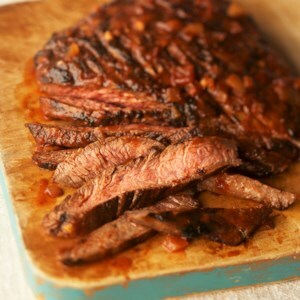 Some of the thickened sauce is brushed onto the flank steak during grilling, and the rest is served warm with the finished meat. 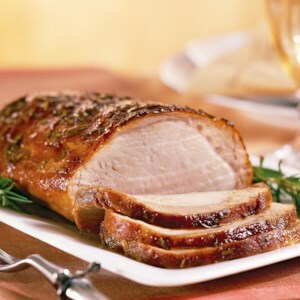 A simple brown sugar and spice rub gives this pork dinner an intense flavor. The sugar caramelizes during roasting to create a delicious glaze. 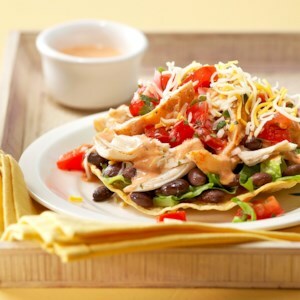 Chicken breasts are marinated in chili and lime, then served on crisp corn tortillas with homemade pico de gallo and dollops of creamy chipotle sauce for a Mexican-inspired dinner that's special enough for company. Lemon, lime, and chili add just the right mix of citrus and heat to this easy slow-cooked chicken dish. 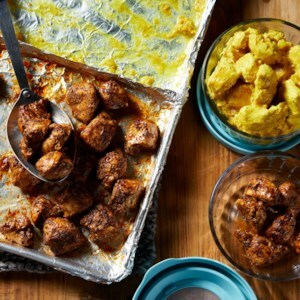 Save time and maximize your efforts by mixing up two separate chicken marinades and cooking multiple recipes at once. 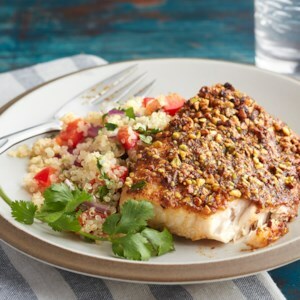 This simple but flavorful meal-prep chicken dinner idea lets you cook ahead and not be bored with your choices by mid-week. Both recipes are roasted together on a baking sheet; a foil barrier keeps them separate. 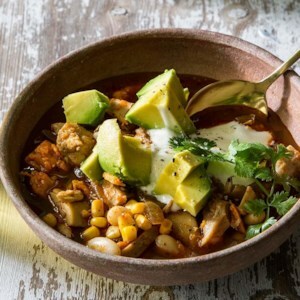 Make this base chicken recipe and use it to create the Meal-Prep Chili-Lime Chicken Bowls & Meal-Prep Curried Chicken Bowls (see associated recipes) for lunch or dinner this week. Two favorite dishes are combined in one meal! 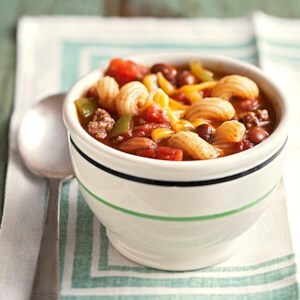 Delicious chili and comforting mac and cheese take under 30 minutes to prepare, and then finish off in the slow-cooker. 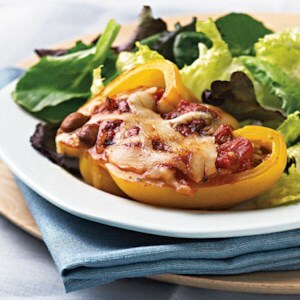 Easy slow-cooked stuffed peppers get a delightful Southwestern twist when filled with rice and beans and topped with Monterey Jack cheese. 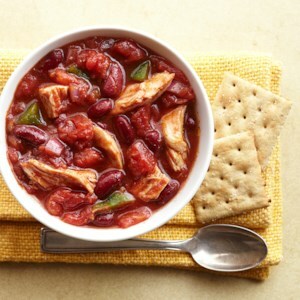 This diabetic-friendly chicken chili recipe provides 22 grams of protein in each serving. 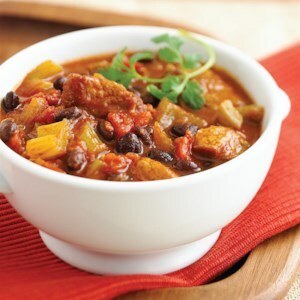 Consider topping chili with Greek yogurt instead of sour cream to reduce calorie and fat content. 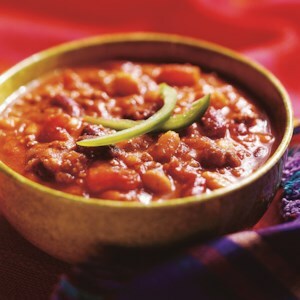 A slow cooker brings out all the flavors in this easy bean and beef chili recipe. 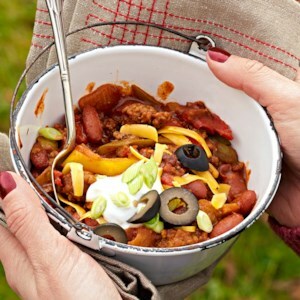 For a fall open house, make this beef chili in the slow cooker. As guests arrive, set out chips and cheese and let them help themselves to a bowl. 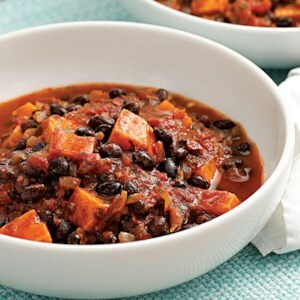 This dump-and-simmer recipe is terrific for camping--or for dinner on a busy weeknight. 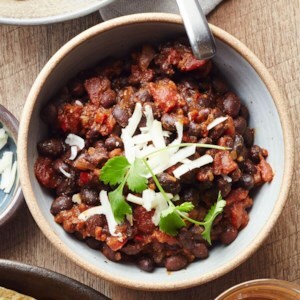 If you like your chili seriously hot, this recipe is for you. For an even bigger kick, use the whole teaspoon of cayenne pepper. 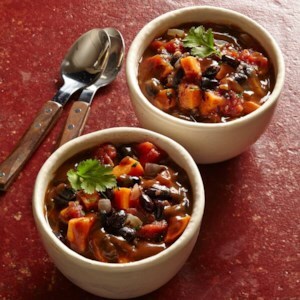 Canned beans and tomatoes make this quick vegetarian chili recipe ready to go in just 30 minutes. 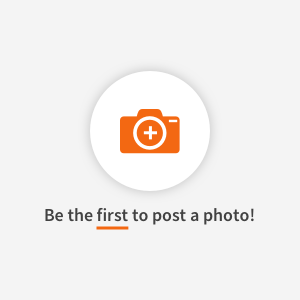 Serve over rice or couscous, or with tortilla chips for added crunch, and add extra toppings as you see fit--sliced scallions, chopped fresh cilantro, diced avocado and sliced jalapeños are all tasty choices.